First-half results beat forecasts and its Brazilian unit fetched a pleasing $5.2 bln. Slashing costs and shrinking the balance sheet will take years. Though HSBC shares trade below book value and yield 5.5 pct, there are few obvious catalysts for a re-rating. 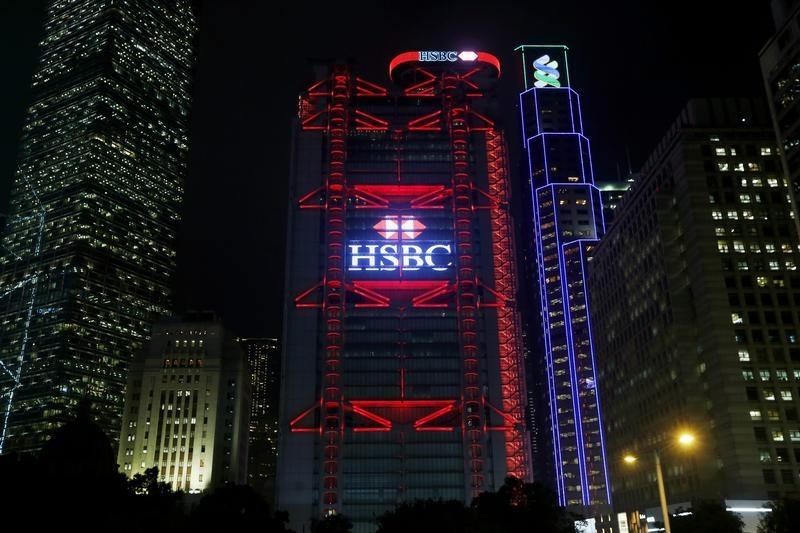 A lighting show displays the company logo of HSBC at the bank's headquarters, beside Standard Chartered Bank (R) in Hong Kong, March 3, 2015. HSBC said on Aug. 3 that first-half profit climbed a better-than-expected 10 percent, driven by a strong performance in Hong Kong. The global bank also announced the sale of its Brazil unit to Bradesco, the country’s second-biggest private sector lender, for 17.6 billion reais ($5.2 billion). In the six months to the end of June, pre-tax profit was $13.6 billion, well above analysts’ average forecast of $12.5 billion. The bank’s improved profit was driven by an investing frenzy in Hong Kong among individual customers amid China’s soaring markets earlier in the year, HSBC said. Asia accounted for 69 percent of the bank’s pre-tax profit in the first half. By 0730 GMT, HSBC’s Hong Kong-listed shares were up 2 percent at HK$71.15.